Home > Events > Night Exercise 2017 – The Zombies Return! After our youth clubs successfully stopped an outbreak in 2016, the zombies returned on Saturday 25th November and a new challenge was put upon our youth club members to prevent another outbreak! 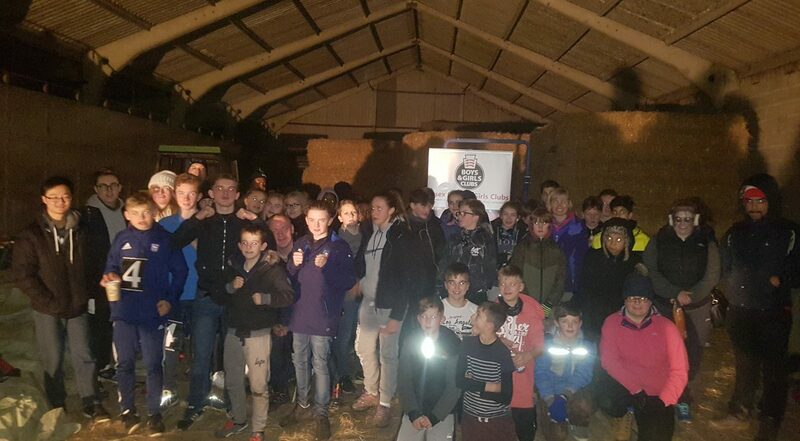 41 young people, in teams of 4, took on a series of problem solving challenges and physical activities along a 2 mile route in the Essex countryside, whilst ‘zombies’ attempted to track them down! The teams were timed around the course, with time bonuses available along the way. In the end, with all teams successfully completing the course and final challenge, only 2 minutes separated the top two. In a time of 1hr 43mins, Rayne Boxing Club took home the trophy, Bancroft Lions CC coming second in 1hr 45mins. Well done to all those who braved the cold and thank you to Great Sampfords YC, Great Tey YC, Rayne Boxing, Colne Engaine YC, Prospex YC and Bancroft Lions CC for taking on the challenge. Also, thank you to all the club leaders and volunteers, including members of our own VTeam, who helped make the event a huge success!